First off, thanks to so many of you who have been visiting and reading my blog. I hope the information I’ve been providing is of value. I have for you two products I’m very excited to share my impressions of. 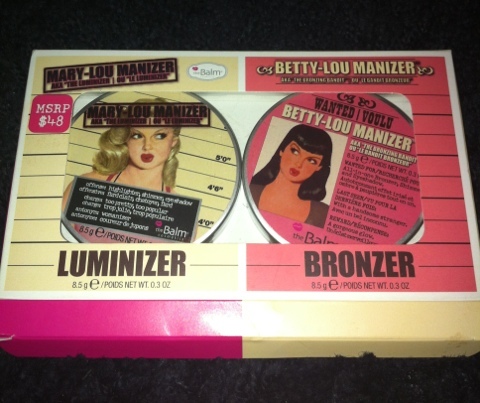 TheBalm, one of my favorite indie brands put out this cute dual-package of two of them most famous products: Mary-Lou Manizer Highlighter and Betty-Lou Manizer Bronzer. Special duo set from Marshalls of Mary-Lou and Betty-Lou Manizer. Mary-Lou Manizer is a shimmery beige highlighter power that look cooler in tone than the brown-girl famous NARS Albatross highlighter. 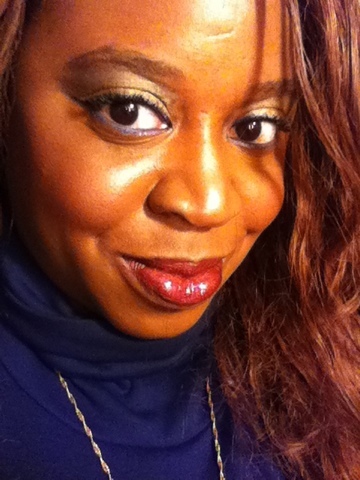 It is very pigmented, translucent and buildable and does not go on ashy on dark skin. The Betty-Lou Manizer is a golden brown shimmery bronzer that is not only very pigmented, but adds a lovely warmth to dark skin. The girls in action: Mary-Lou on browbone, Betty-Lou on eyelid. 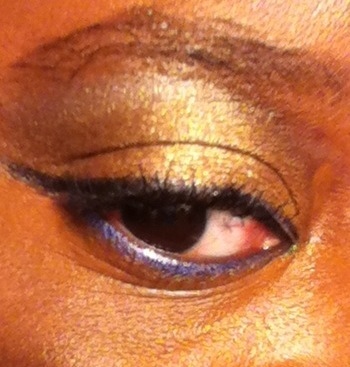 Upper lid line: NARS Larger than Life eyeliner in Rue St. Honore, lower lid line: Make Up For Ever Aqua Liner in #15. Both products are packaged in a mirrored compact with nice heft of weight, hold .3 oz of product (2x NArS) and are priced at $24 each. They are available for purchase at TheBalm.com and Beauty.com. The whole look pulled together with Illamasqua intense lip gloss in 'Hermetic' and NARS blush in 'Mounia'. 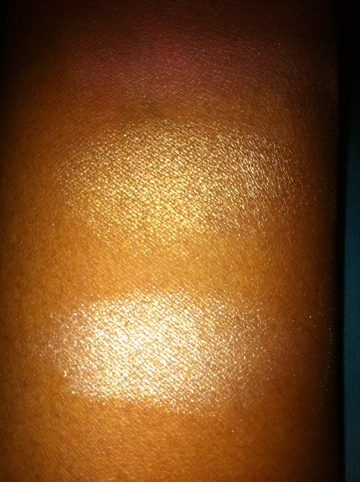 Cheeks highlighted w/ Mary-Lou and Betty-Lou Manizer. thanks for this,i really want it now!!!!!!! Hi! You can purchase The Balm products at TheBalm.com , Beauty.com and also at Nordstrom.com. The dual-pack I lucked out and found at Marshalls. Thanks for reading!